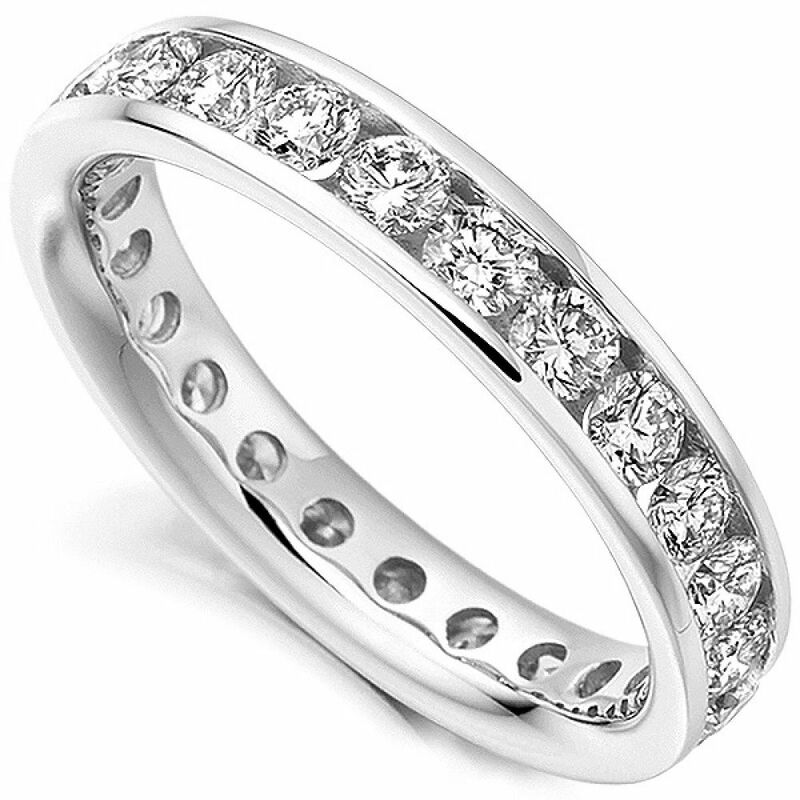 2 Carat full diamond eternity ring, created with a 4mm wide band, precision set with round brilliant cut diamonds. Enticingly set with 2 carats of F/G Colour VS Clarity Diamonds, this Round Brilliant cut Diamond Eternity Ring really dazzles. In a secure channel setting along the 4mm wide court profile band, it offers a beautifully comfortable and easy to wear addition to your wardrobe. We can create your ring for you within 3-4 weeks in 18ct Yellow Gold, 18ct White Gold, 950 Platinum and 950 Palladium. Your ring will arrive pristinely packaged in our designer Serendipity Diamond box ready to present to that special someone. Carried to your door fully insured and in a discreet postal box, you can rest assured with our 60 days return policy and detailed insurance valuation. 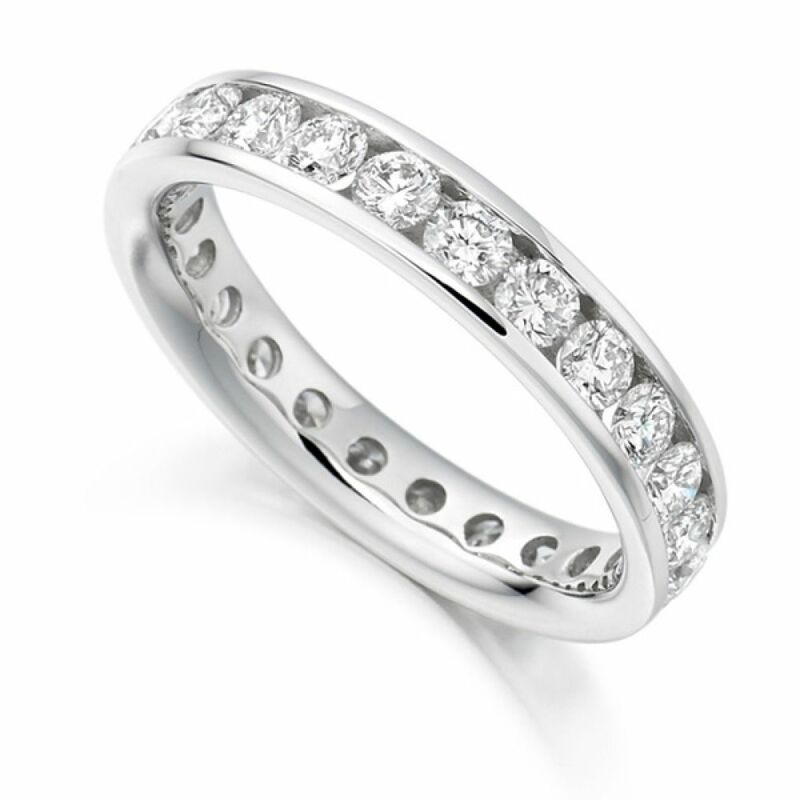 Contact us if you need any further information regarding any of our Eternity Rings.